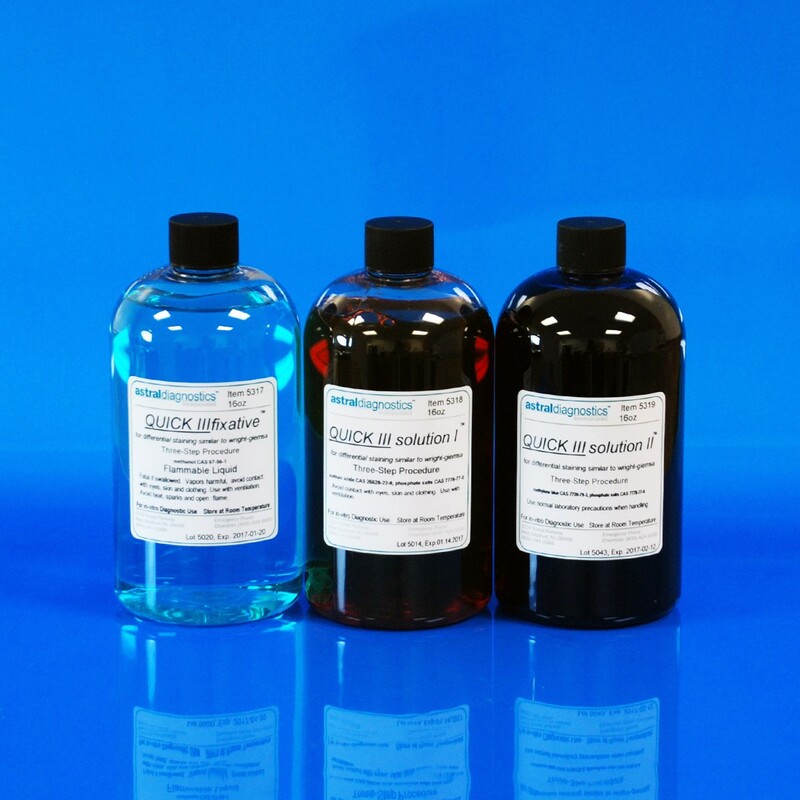 Quick III Set | Polysciences, Inc.
Used for differential assessment of blood smears, detecting H. pylori microorganisms, sperm analysis, and interpretation of FNA biopsies. Set contains one 16oz bottle each: Fixative, Solution I (Eosin) and Solution II (Methylene blue, Azures). FDA approved for in vitro diagnostic use.